Brothers Andy and Charlie Nelson were just out of college when, in the summer of 2006, they were buying meat in the rural town of Greenbrier, Tenn., and they asked the butcher if he knew anything about an old Nelson Distillery. They had long heard stories from uncles and aunts at holiday meals about a distillery in the distant family past. Serendipitously, just across the street was Distillery Road, where their great-great-great-grandfather’s whiskey shop had once flourished in the 1800’s. Andy and Charlie went to see the skeleton of a distillery that bore their family name. Then, the brothers stopped at the Greenbrier Historical Society, where they discovered a couple of original bottles of Nelson’s Green Brier Tennessee Whiskey. It was a moment of connection, grounding and excitement for the brothers. They determined that they should resurrect the family business. The Nelson brothers discovering the long lost family distillery. The thing about restarting a shuttered whiskey company is that it takes more than a sense of purpose. It also requires quite a bit of money, which the Nelson brothers did not have. The process of getting anywhere close to being ready to build a business was a tough slog that the brothers weren’t expecting. They ended up getting their first funding from a bank, a surprising source of capital for any startup. But it took a long five years from the time they drank from the spring off Distillery Road. 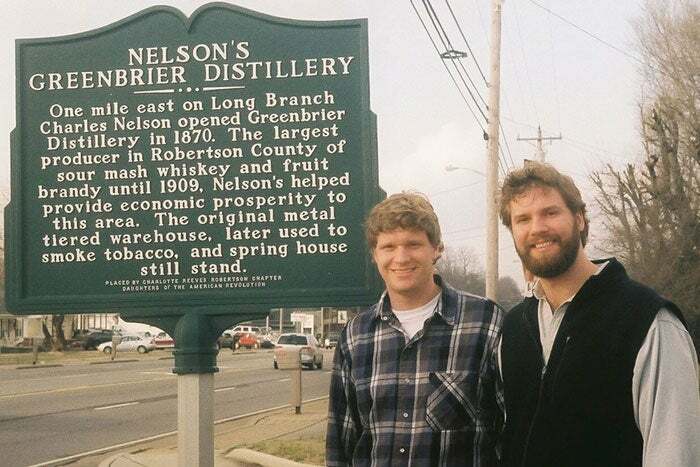 “We didn’t have any money to start the business,” says Andy, the older of the brothers who are co-founders of Nelson's Green Brier Distillery, located in Nashville, Tenn. “We were just out of college. We had nothing.” A decade later, Charlie is now 32 and Andy is 33. Charles Nelson, born July 4, 1835. For the first three years after their discovery, they obsessively researched their family history, whiskey and the industry. On August 6, 2009, they formed an LLC. As they approached investors, they fielded some common questions. “‘Well, do you have any experience running a business? Or in the whiskey or alcohol industry? Or in running a distillery? Or anything?’” Andy and Charlie, who both have bachelor's degrees in the humanities with concentrations in philosophy, didn’t have the answers that would make investors pull out their checkbooks. “Well, no, but we really want to do it. We have got a lot of passion!” Andy recalls telling them. 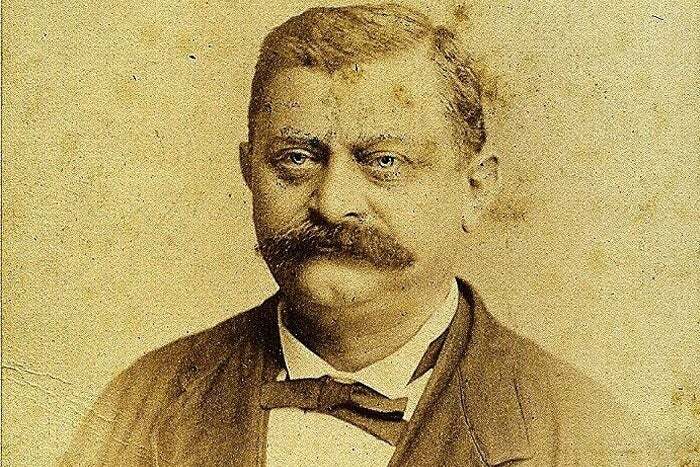 One of the brothers’ earliest attempts at raising capital was from Roddy Story, former manager of commercial banking at the Bank of Nashville. Story says he liked the guys and knew of their family. In addition to his banking career, Story had owned a kids clothing and furniture business for 20 years. When he started out, he says he didn’t have any clue what he was doing, so he related to the brothers. But the loan was too risky for the bank to underwrite. With only their passion and their philosophy degrees, the Nelson brothers heard “no” from investors for two years. Ramen noodles and peanut butter. Not only did the Nelson brothers have zero experience distilling whiskey, but they also were talking about launching with a product that takes years to make. Whiskey has to be distilled and aged for years before it can hit shelves for sale. That’s a long wait with no guarantee of success at the end. Belle Meade Bourbon, the Nelson brothers' first product. As the brothers fundraised, Andy held a full-time job as a video editor at their father’s educational software business. Meanwhile, Charlie was pounding the pavement. “He was living in our parents’ house on ramen noodles and peanut butter and jelly until we got that money raised,” Andy says, standing in the rustic distillery welcome center that the brothers have since erected in downtown Nashville. Today, Nelson’s Green Brier Distillery has 12 full-time employees and another dozen part-timers. Perhaps it’s easier to laugh about subsisting on ramen noodles with the benefit of hindsight following success. On the brothers’ hunt for capital, they were tempted by the Siren’s song of a potential investor who liked their business plan and wanted to pump it up for rapid expansion, steroid-style. “They teased Charlie and I with these huge salaries starting out, and frankly, it was almost insulting, because it was like, ‘Who do you think we are?’” Andy says. The brothers didn’t want to simply sell their story and mass-produce whiskey. They wanted to stay true to Green Brier’s small-town, family origins and not surrender control to a hired CEO. During an interview with this Entrepreneur reporter, Andy pointed out a quote in his great-great-great-grandfather Nelson’s obituary that heralded the entrepreneur’s sense of integrity and fairness in running the distillery. The brothers were back to ramen noodles and pitching. Five years after drinking from the spring, a loan for $430,000. 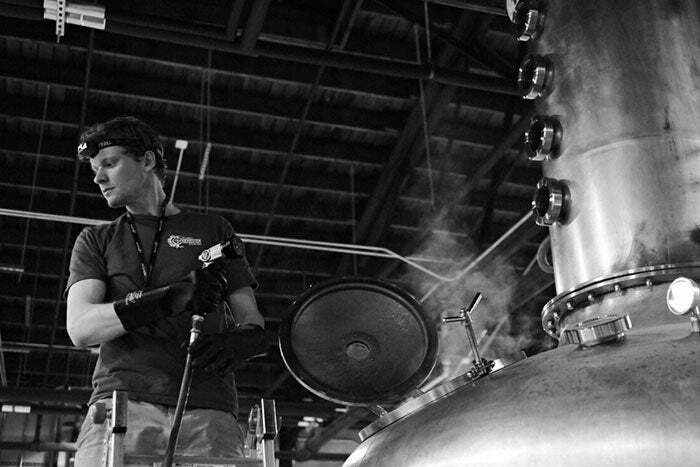 Andy cleaning out the still, named "Miss Louisa," after Charles Nelson's wife. At the new bank, Story signed the loan. Collateral also helped. The Nelsons put up family property, and in March 2011, the Nelson brothers got a $430,000 loan from Tennessee Bank and Trust. Cash. Without having to sell their souls. After five years, they finally had funding. The Nelson brothers were in their mid-20s at this point. They didn’t start distilling whiskey until three years after the first loan came through, in 2014. To bring in revenue in the short term, the Nelsons bought already-distilled and aged bourbon from a source distillery and mixed and sold the spirit under the name Belle Meade Bourbon, one of the same names that their triple-great-grandfather had used generations earlier. 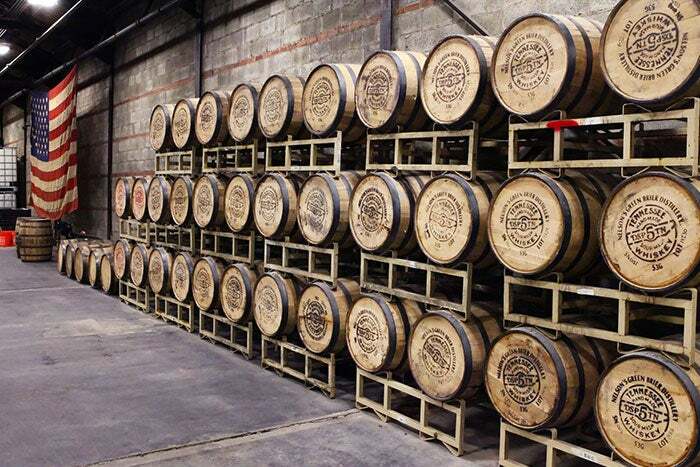 Green Brier whiskey aged in their downtown Nashville production facility. In November 2013, Andy and Charlie broke ground on their very own distillery. 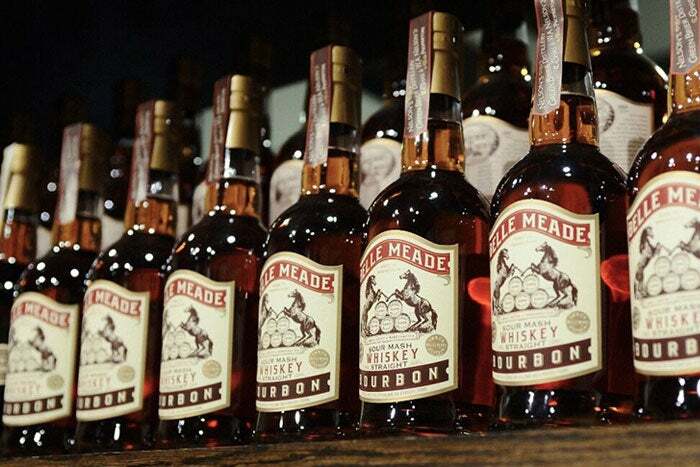 In 2015, they sold 14,000 six-bottle cases of externally sourced Belle Meade whiskey throughout 14 states. They started distilling their own whiskey in late July 2014. Eventually, the brothers will be able to sell the whiskey they make. It should be in ready late 2018 or early 2019. Andy, standing in the barrel room in front of a wall-sized Tennessee flag, looks out over his stacks of aging whiskey and tries to reflect on the journey. He says he’s been in the trenches for too long to feel any sense of surprise at his and his brother’s progress. That's Not a Typo, His Job Title Is "Sciencer"